Our Enemy is a thief, and of all the precious things he has stolen from our hearts, his worst act of treachery has been to steal our future from us. He has stolen all the magic and promise and wonder of the happily ever after. Very few of us live with hope. To those without faith, he has whispered, "Your story ends with an accident, and then...there is nothing. This is as good as it gets." Small wonder people drink too much, eat too much, watch too much TV, basically check out. If they allow themselves to feel the depth of their actual longing for life and love and happiness, but have no hope that life will ever come...it's just too much to bear. But to those who search in faith for the ending of the Story, our Enemy has whispered an even more diabolical lie, harder to dispel because it is veiled in religious imagery: "Heaven will be a never-ending church service in the sky." All those silly images of clouds and harps. I've heard innumerable times that "we shall worship God forever." That "we shall sing one glorious hymn after another, forever and ever, amen." It sounds like hell to me. Seriously now—even though we were given Eden as our paradise, this whole wondrous world of beauty, intimacy, and adventure, in the life to come we will be sent to church forever because that's better somehow? There is no hope in that. That's not what's written on our hearts. I mean, really. We have dreamed better dreams than God can dream? 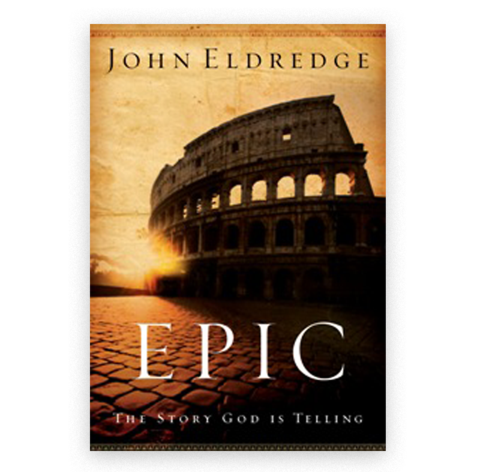 We have written stories that have a better ending than God has provided? It cannot be. I have some really good news for you: that's not the so-called Good News. Not even close.